If there was one Bradford City player on the retained list who it would be assumed would re-sign with no problems, it was surely Jon McLaughlin, who has this week instead departed the club. As the longest-serving player, the Scottish keeper’s endurance was something to celebrate. He’d enjoyed a good season, where he’d finally proven himself the club’s number one. A new contract was offered to him in May, along with deals for Stephen Darby, Rory McArdle and James Meredith. But whilst the others all eventually agreed terms to remain in West Yorkshire, McLaughlin has been stuck in limbo, unable to conclude a new deal. Width of a Post understands that the player (or at least his agent) believed there would be a fair amount of interest from other clubs. So seemingly in a position of strength, he turned down City’s initial offer and apparently requested a substantial pay rise. If the rumours are true, McLaughlin was a relatively low paid player last season (and certainly a long, long way below the club’s highest earner, Aaron Mclean). However, his demands did not go down well with the club, who withdrew the original offer when it expired following the 30-day consultation period. It meant that McLaughlin was left in a position of training with City in the hope of continuing negotiations; his hand further weakened by the signing of Jordan Pickford from Sunderland on a season’s loan. There was not the interest elsewhere that his agent perhaps originally suggested to him, although it is good to see him ultimately receive an acceptable offer from Burton Albion. As such, the player and club can shake hands on good terms, after going through so much together. McLaughlin originally arrived at Valley Parade in 2008, awarded his big break by Stuart McCall. Over six seasons at Valley Parade, he has played his part in achievements big and small. But it didn’t translate into hero status, or even widespread appreciation. He was not unpopular with the crowd, but far from a favourite either. Whereas some of his predecessors in the Valley Parade goal have been big presences and demanding of the attention, McLaughlin always seemed something of a supporting character. You didn’t always notice him, and sometimes it was hard to tell if that was a good or a bad thing. You can certainly find plenty of detractors of McLaughlin. They will tell you he wasn’t good enough, that he has too many weaknesses and that his strengths are nothing special. Equally you will also find numerous supporters of the Scot. They will point to his overall ability, and his stats – which are undoubtedly commendable. But from the majority of City fans, there is a mixture of indifference and indecisiveness over his worth. The club’s longest-serving player, and yet many of us couldn’t make up our minds about him. Is he good enough? Could we do better? Could we do worse? In 2013/14, McLaughlin was an ever-present in the league and can take pride in City ‘against’ column: they conceded the seventh-fewest goals in the division. McLaughlin kept 14 clean sheets – a record of almost one shut-out every three games – and only conceded more than two goals on five occasions. That is impressive, but yet the credit for that solidity doesn’t seem to go to McLaughlin. Everyone agrees that Andrew Davies is the key figure in the back five, and the stats for a City side with Davies at the helm and a City side without him demonstrate his considerable value (just one clean sheet during his four-month absence). Stephen Darby won the 2013/14 player of the season award and is widely valued, Rory McArdle is generally rated. But what of McLaughlin? How influential was Jon McLaughlin in Jon McLaughlin keeping 14 clean sheets? And if the answer is ‘very’, why didn’t he get the credit? The season before that, 2012/13, was a similar story. Parkinson interchanged between Matt Duke and McLaughlin, and the debate raged all season about who was the better player. I was a member of the #TeamDuke camp, yet the stats showed that Duke conceded twice as many goals as McLaughlin. Famously that season, a 4-1 thrashing to Exeter in March was a watershed moment that led to a late play off surge. Parkinson made two changes to the backline for the next game, against Wycombe, which began that run. Meredith was brought back in after injury and McLaughlin replaced Duke. Meredith received a great deal of credit for the subsequent upturn in the team’s form, whilst McLaughlin barely received a mention. So what kept happening? Why does McLaughlin look such a good player on paper, but yet was unable to fully convince us when we were watching him live? Like James Hanson, his background has both helped and counted against him. Signed from Harrogate Railway and a former University student. McLaughlin must have been initially grateful that a club like ours would give him an opportunity. He was fortunate to be here. And for that reason, there was always an element of looking down on Jon rather than looking up to him. He was around so long that he almost became first choice keeper by default. It took Hanson, with his own non-league background, a long time to win over his critics and prove himself as a genuine star player of the team. McLaughlin failed to reach that same status. Part of my bias for Duke in 2012/13 derived from his greater pedigree that gave you the confidence to believe he was a ‘proper’ goalkeeper. If McLaughlin had similarly joined City from Hull, would we currently view and judge him differently? Certainly, Burton Albion’s fans will have a different perspective in how they welcome him, on account of his now-lengthy Football League experience. What I’ve often felt is lacking in McLaughlin’s game were point-winning contributions. When you compare him to some of the best City keepers of the last two decades, there simply isn’t the same list of memorable McLaughlin performances and incredible saves. Yet on the other side of the coin, McLaughlin’s mistakes were not particularly frequent or dreadful enough to differentiate him from those who have kept the Bradford City goal before him. He is basically an ordinary goalkeeper. A good all round game, with nothing glaringly lacking from his range of abilities. Still, you sometimes wish that it was more evident just what a difference he makes. In September, McLaughlin will turn 27 and, like his former goalkeeping coach Duke, could in theory be playing professional football into his late 30s. These next four or five years in particular should be amongst his best, and there must be some sadness that they won’t take place at Valley Parade. For a lot of investment went into developing Jon. Four managers trusted in him, numerous goalkeeping coaches spent a great deal of time improving him. The lessons learned from the mistakes he made will now be to another club’s benefit. It will be very interesting to see how both he – and the keepers who follow him in the Valley Parade sticks – fare over the coming years. 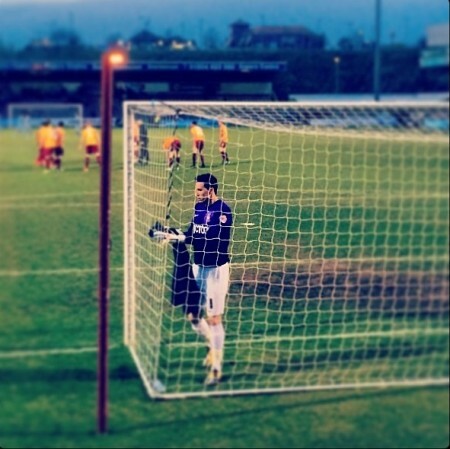 Whatever the disagreements over recent weeks, no one can dispute that McLaughlin made a very positive contribution to Bradford City. We are all better off for what he did for the club. Duke and McLaughlin – remember those days? I know a number of people felt Super Jon struggled this season because of the lack of competition but we’ll never know if that was the case or not now. I always felt Duke was the better goalkeeper ability-wise but McLaughlin was more consistent and reliable. Either way I’d like to thank both keepers for what they brought to the club and wish them all the best in the future. Interesting news from the burton site. A one year deal as second choice keeper? Step down a division? With interest from clubs in other divisions ? Seems like anything was better than nothing after the Pickford deal went through…..agents eh? Lets just hope Pickford does the biz and he doesn’t turn out to be another Eastwood. Can’t help feeling we’ve lost a player proven at our level and gained one that’s unproven at any level. Still, I guess that’s why Parky is a professional football manager … and I’m not! There are too many players who’ve made bad career decisions on the back of ‘advice’ from agents. Hope it works out for him, he’ll not be on big money by anyone’s standards and one can imagine of this doesn’t work out he could be in non League soon. Would have loved to see City with him, Hanson and McBurnie playing in the Championship. Couldn’t kick a ball straight. L2 for me. Photo not yours buddy. I think it’s a shame it has come to this. He might have struggled at a higher level but I felt he was a good steady L1 keeper last year who was only improving. You didn’t often come away from games thinking he had let us down. I think he might be able to establish himself at Burton and he deserves an extended FL career based on his efforts over the last couple of years. Overall though, I did watch him thinking that if we are going to progress then we probably need more star quality in his position. And Jason, I’m sure I took that photo, Coventry away last season when he had a very good game! Shame we couldn’t sign their keeper Joe Murphy who has gone as no. 2 to Huddersfield. This particular picture was taken by Kieran, who also attended the Coventry game. I didn’t use this one at the time as you took so many fantastic photos (including of JMac) to use from that night. For me im glad he’s gone as I didnt think he was good enough to be a League 1 goalkeeper. I dont dislike the lad and hope he has a good career but id prefer to face him in goal rather than have him in goal. Every mistake he made I think 6 or 7 big ones cost us points and games. Wolves at home is the big one that sticks in my mind. After going 1-0 up they had a few chances and John made a couple of decent saves but they didnt look like scoring at all. Then a weak shot outside the area and a mistake by Jon and we lose the game 2-1. Im certain we would have won that game if he didnt make that mistake. A solid keeper at this level, who best years will not be spent at city. 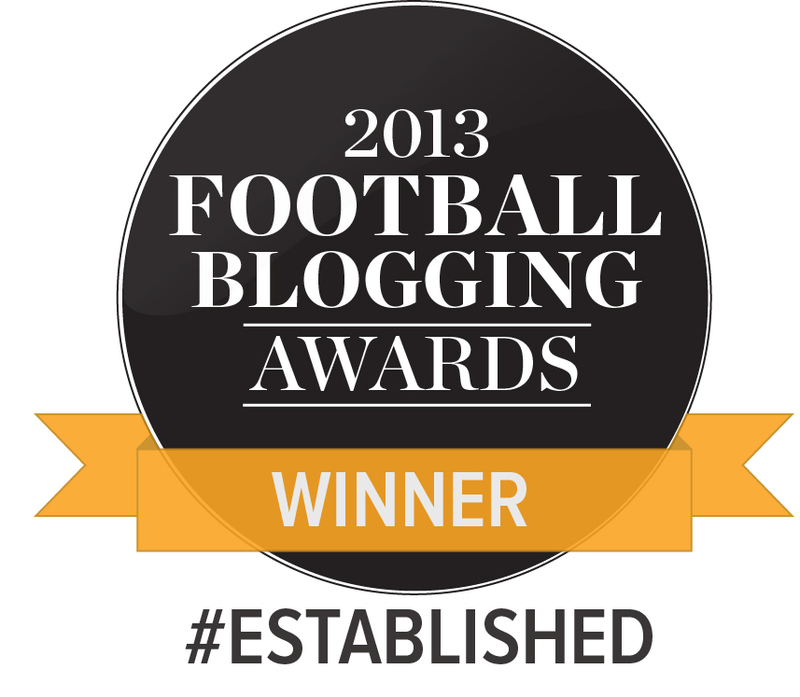 Up the bantams! I think that Parky has made the correct decision. We have to look to improve this next season and it was for the best that Jon moved on. All the best Jon.